Relaxed Vision offers a perfect balance between the eyeglass wearer, eyeglass frame and cutting edge corrective lenses. We can achieve the best possible visual experience through the perfect interplay of your eye with the lens. Various components play a special role in realizing Relaxed Vision: the use of state-of-the-art precision lenses and measurement technologies in combination with sound, comprehensive and honest advice. At our Relaxed Vision Center, we merge these steps on the way to creating a perfect pair of glasses for you. 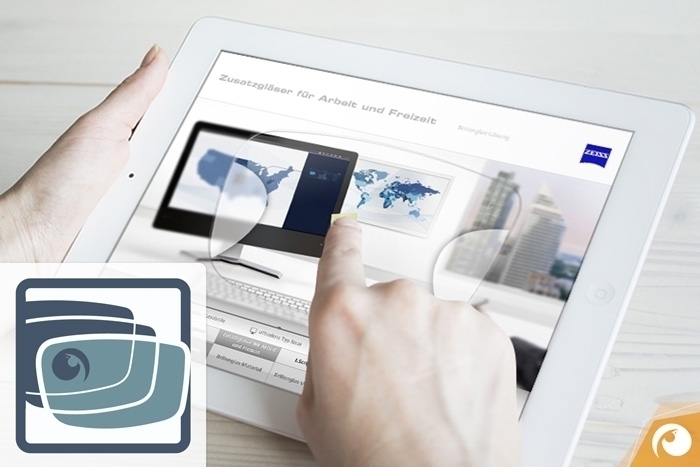 Based on latest measurement technology, we provide you with a comprehensive consultation in which your particular vision requirements are ascertained, analyzed and subsequently met. 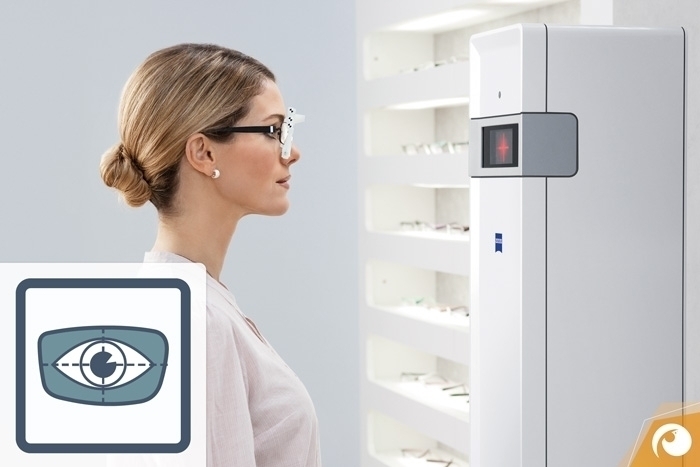 ZEISS has pioneered cutting edge measurement technology that is substantially more than just a conventional computer vision test. Not only does it measure the objective lens strength but, based on over 2500 measuring points, also creates a map of your cornea by means of an infrared point of light that strikes the retina. The reflected light is captured by i.Profiler plus. On its way, the particular aberrations of the light are measured and analyzed. Together with the change of pupil size and the differing quality of vision in daytime, twilight and night conditions that this entails, errors can be detected and corrected, which would otherwise negatively impact vision in poor light conditions. Based on these objective measurements, we can determine your prescription subjectively with an accuracy of ⅛ of a diopter. 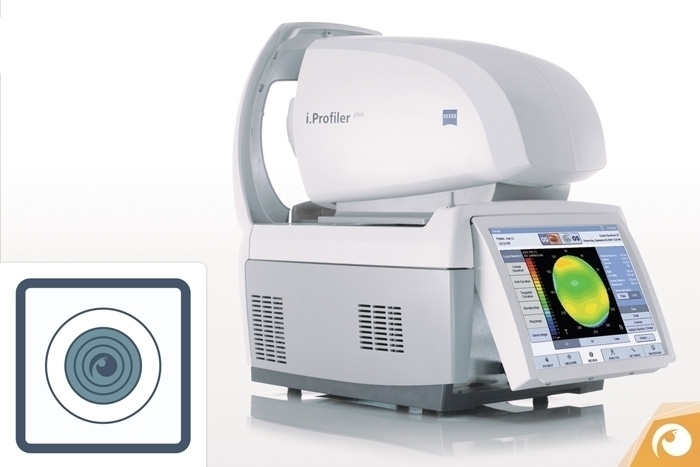 The i.Profiler plus then additionally allows us to generate an exact profile of your eyes. Smallest aberrations are registered and taken into consideration while producing your customized spectacle lenses. We also pay particular attention to checking your spatial vision because undetected problems with binocular vision can result in eye strain, tiredness and headaches. 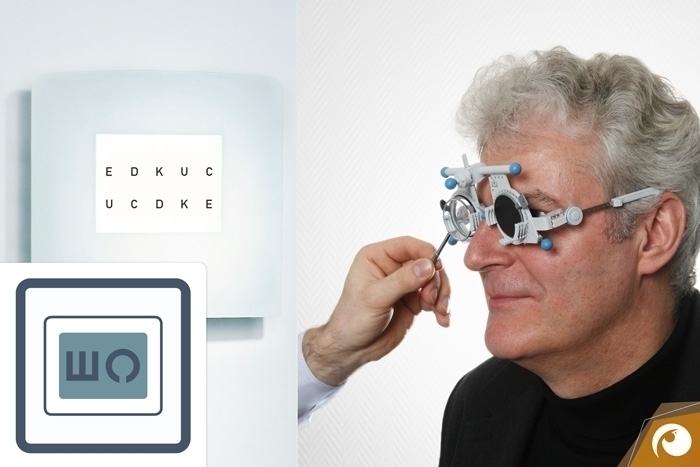 More information on our eye exam is available under our “Products & Services” section. As part of the preliminary consultation to establish your lens prescription, we will need to gather a lot of important information with your help. The vision requirements of your profession and your off-duty lifestyle alike, including leisure time and hobbies, provide information on your visual habits. The more we find out about the demands you put on your glasses, the better we can advise you on your new spectacle lenses. This information, in conjunction with the results of your eye exam, is used to generate a personal vision profile, in which we also consider eye health aspects in addition to your daily vision needs. Today more than ever, glasses are a fashionable accessory that is an extension of who you are. We would be pleased to guide and advise you on your new frames. Apart from the fashion statement, we will also explain to you some important technical details about your new frames. Crucial factors are, for example, your personal anatomy, the shape of your face, the size of your head and much more. When it comes to making glasses, precision is the highest good. And these days, state-of-the-art measurement technology makes it possible to determine the optical centration data – so critical to optimally crafting your glasses – to within tenths of a millimeter. With the i.Terminal 2, we take two photos of you wearing your eyeglass frame and use them to exactly calculate the distance between your eyes, the exact location of your ocular pivot point, the curvature of your glasses and the angle of the frame vis-à-vis your eyes. All of these measurements are factored into your lenses to noticeably enhance your visual comfort. The more customized the lens, the higher the quality of your vision. This is especially true for those needing strong corrective lenses. This is where our extensive experience and know-how once again comes into play in a big way. 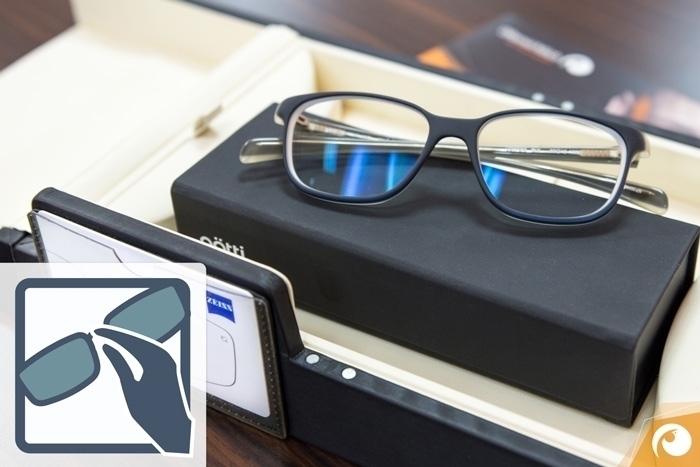 On the basis of all the insight gained up to this point and your special requests with regard to the new glasses, we can recommend the optimal spectacle lenses for you. We will make various suggestions while also providing a rundown of the advantages and disadvantages of the lens solutions in question. It doesn’t matter whether we’re dealing with standard glass technology or current innovations, thanks to advanced on-going training, we are always completely up-to-date. We also want to win you over with our outstanding competence and the quality we offer when it comes to actually making your new glasses. We draw on a combination of traditional craftsmanship and state-of-the-art technology to precisely insert your new lenses into a new frame. This is done on-site at our own workshop where, since 2014, we have at our disposal a CNC automated lens edger that is considered one of the finest available in optometry. It enables cutting the lens with ultra high precision to within a hundredth of a millimeter. You are welcome to join us at our demonstration workshop to watch us at work as we make your new glasses. It is with great pleasure that we subsequently present you with your new glasses. We will carry out some finishing fine-tuning such as properly adjusting the glasses to your nose and ears to ensure a perfect fit. And, in addition to a brief set of instructions on using and caring for your glasses, we will also furnish you with a so-called Brillenpass, which contains all the essential data concerning your correction glasses. In conjunction with our professional competence, the Relaxed Vision Concept gives you the opportunity to take full advantage of the impressive possibilities offered by today’s cutting edge spectacle lenses. Let us delight you with highest precision for your perfection.